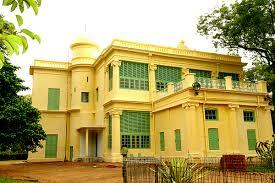 Santiniketan is a University town and a centre of learning. The Uttarayan complex where the poet lived consists of several buildings such as Udayana. Konark, Shyamali, Punascha and Udichi which reflect the architectural genius of the poet's illustrious son the late Rathindranath Tagore. The College of Fine Arts & Crafts has a museum exhibiting sculptures, frescoes & murals and a library of art books. 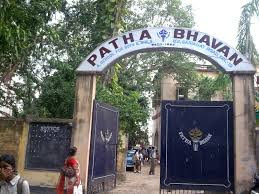 Now a secondary school, it is of particular interest as an example of the traditional `Brahmacharya Ashram'. 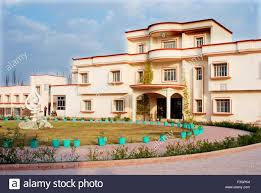 The poet lived and worked in the Northern Complex consisting of several buildings as : Udayana, Konarka, Shyamali, Punascha and Udichi. 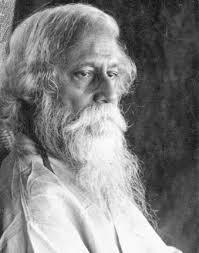 The Bichitra designed by the poet's son Rathindranath Tagore. 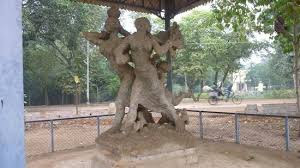 The weather in Santiniketan is usually a pleasant one although you will come across the normal weather changes during summer, winter and Monsoon. 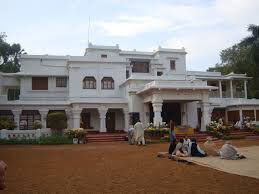 Nonetheless Spring has its own charm in Santiniketan not only because of its natural beauty blooming to its fullest amidst the lush greenery but also due to the famous Vasanta Utsav held to mark the festival of Holi with the onset of Spring. 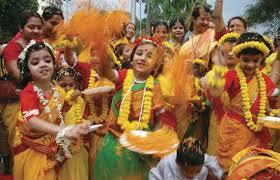 Basanta Utsav literally means the ‘celebration of spring’. Falgun and Chaitra according to the Bengali calendar is the season of Dol Utsav. During this season nature shows its own beauty with colorful flowers of Palash, Shimul etc. 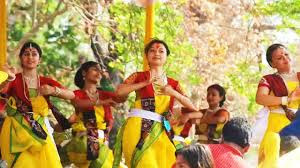 The beautiful tradition of celebrating spring festival in Bengal was first started by Nobel Laureate Rabindranath Tagore at Visva-Bharati, Santiniketan. Actually, Basant Utsav is no different from Holi, except for the gracefulness with which it is celebrated. 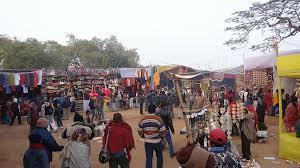 Poush Mela in Santiniketan is a carnival set in the rural part of Bengal. 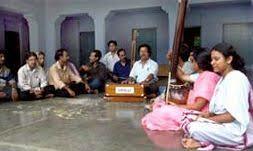 It is an important festivals in the district of Birbhum of West Bengal. 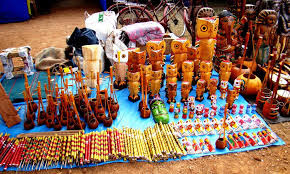 It is held in the Shantiniketan Mela Grounds with great excitement and gaity. 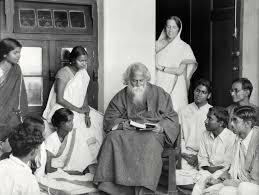 The Poush Mela started as a small Tagore family affair along with a handful of people at Shantiniketan. Today it is one of the international events that Bengal is identified by. 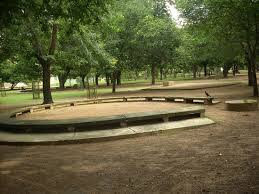 One can enjoy the Baul musicians, local folk dancers, village artists and millions of visitors from across the world.